In the first round of the Big Ten Women’s Basketball Tournament, the University of Wisconsin women’s basketball team (14-17, 4-14 Big Ten) were able to prolong their season by at least a day. With a 65–57 win over the Penn State Nittany Lions (12-18, 5-13), Wisconsin will look forward to a matchup with The Ohio State — a team the Badgers lost to only six days ago. 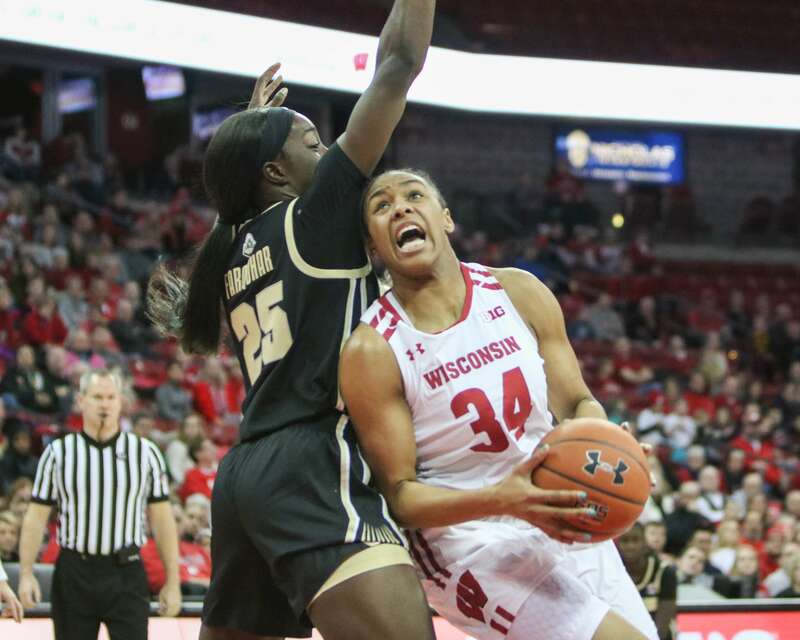 The scoring duo of Marsha Howard and Imani Lewis once again carried the Badgers combining for almost half of the team’s points. 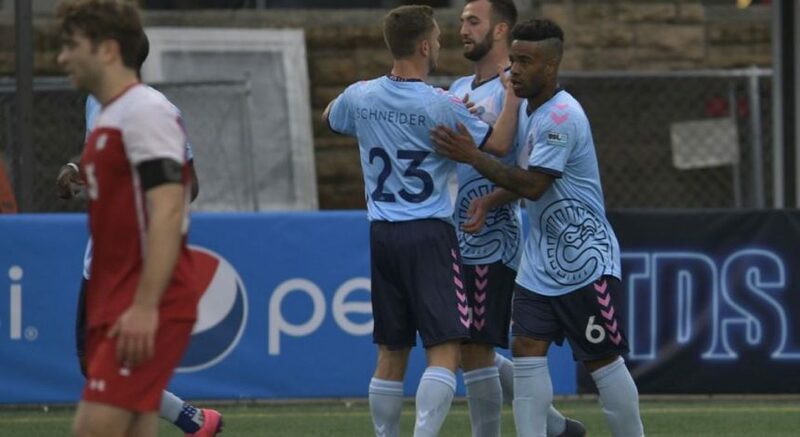 The remaining starters were able to chip in at least eight or more points as well. The Nittany Lions took a 3–2 lead just 37 seconds into the first quarter before the Badgers regained the lead on a Lewis three-point play. Lewis sparked an 11–2 run and the Badgers road that lead to the end of the contest. Penn State threatened at the close of the third quarter making it a five-point game as the buzzer sounded, but would not make a complete comeback. The game remained in reach for the Nittany Lions through the fourth, but they couldn’t overtake the Badgers’ balanced scoring in the final frame. The Nittany Lions started the game without senior Teniya Page due to injury. Page mustered 14 points in her 26 minutes on the court. The hobbled senior finished her career as the first Nittany Lion to reach 2,000 points, 400 rebounds and 400 assists. The win ends a three-game losing streak and a four-game skid against the Nittany Lions. However, an NCAA tournament bid requires four more wins in four days in Indianapolis. Wisconsin’s next opponent is a familiar one. 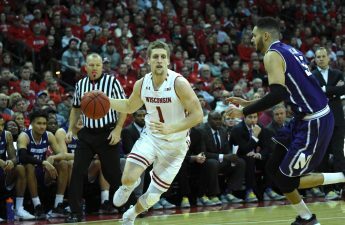 The Badgers recently played the Ohio State Buckeyes (14-13, 10-8) and lost 61–50 in the Kohl Center. Howard led the team with 15 points, but the Badger bench finished with only two points from Suzanne Gilreath. While Wisconsin can hang with Penn State without major bench production, the Buckeyes demand a more balanced scoring attack. Graduate transfer Carmen Grande commandeers the Buckeye team. She played all 40 minutes in both contests against Wisconsin and is tied for the third-highest assists per game average in the Big Ten. The duo of Grande and Hungarian freshman Dorka Juhász can be lethal and should be the Badgers’ primary focus. 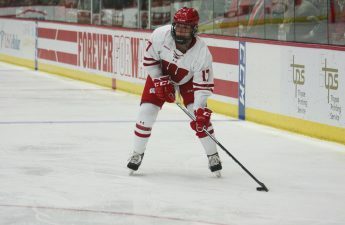 Junior forward Abby Laszewski has been absent from the Badgers lately, averaging just 3.1 points in her last six games. A dynamic performance from Laszewski — especially defending Juhász well — could spell upset for Wisconsin. The game will start 25 minutes after the conclusion of the Michigan State-Northwestern contest, which tips off at noon. A win over the Buckeyes would set up a contest with Michigan. You can catch the game live on Big Ten Network or listen live at 100.9 FM, Badger Radio Network.